Camping Porto Sole är en camping i Vrsar, Istriens, belägen vid havet. Denna terrasscamping och camping med sluttande terräng har platser med stängsel, med skugga, utan skugga och platser med lite skugga. Camping Porto Sole ligger i närheten av en stenstrand. Det finns möjlighet att hyra husbilar, rum och lägenheter. På campingen finns en lekplats och ett sportområde. För den sportige semestervandraren har campingen utflyktsprogram och olika cykelleder. Det finns ett underhållning. Campingen förfogar över en utomhusbassäng och ett knattebad. I den närliggande omgivningen kan du också simma i havet. I Camping Porto Sole är det tillåtet att snorkla. Denna inspektör gör varje år ett besök på Camping Porto Sole och inspekterar campingen för ca 200 faciliteter och för andra förekommande punkter. Inspektören är en medarbetare från ACSI och arbetar inte för campingen. The very best everything was excellent very clean toilets and showers . Very well kept site good size pitches . Everything on the site you would need Walking distance to the small town . Would highly recommended the site one of the very best sites we have stayed at. We chose this campsite after checking out the much bigger Funtana site the other side of Vrsar. The site is situated on two pretty bays. We were tent camping and pitched on the terraces on the bay nearest Vrsar. Nearest toilets were good but the showers were a little cramped. It was not far to more roomy showers. The view from the washing up sinks was beautiful It was a pleasure to wash up. The swimming pool was very good and big enough to have a good swim. There was a separate pool for little people. We did not try the restaurant but ate twice at the pizzeria, which is nicely situated on the water, and enjoyed it both times. The price was good too. It is a short walk to Vrsar or you can take a little train. Don't walk too far the other way if you are shy as you will come into the naturist complex next door. We drove to Pula but much preferred Rovinj. This lovely old town set round a pretty harbor is well worth a drive. The site organizes some trips out. There are also boat trips from Vrsar harbor. If you walk up into the old town you will find a café, opposite a view point, which is much quieter than those on the sea front. Our camping pitch was rather dusty, very little grass, but I would still recommend this site for a 4 or 5 night stay. Large campsite well laid out, spacious pitches. Good WiFi at reception. 10 min walk to harbour at Vrsar. Vill du boka campingen Camping Porto Sole eller få mera information? Det går bra med nedanstående uppgifter eller via campingens webbsida. 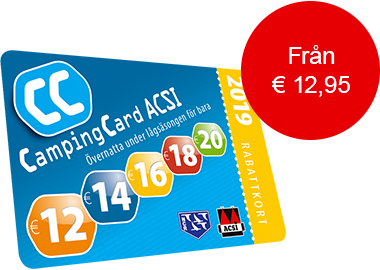 ACSI Eurocampings skickar din informationsförfrågan till "Camping Porto Sole".